Trekoskraal–The real test for our equipment! 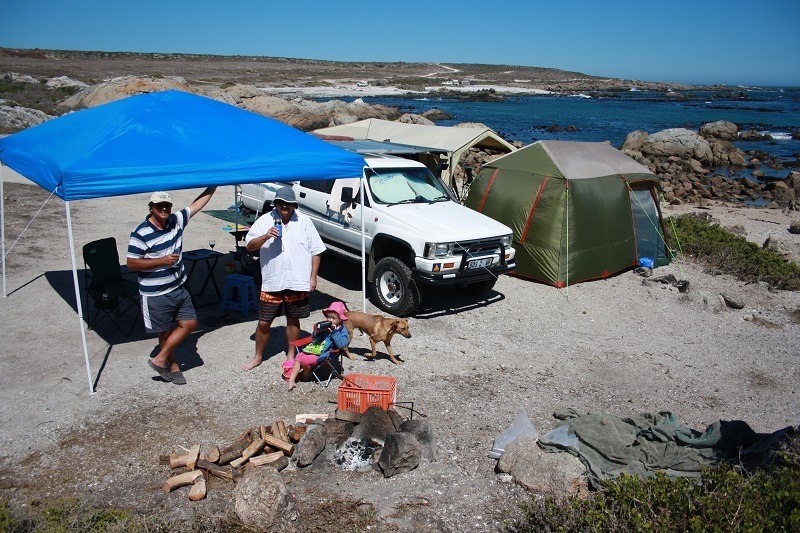 We travelled from Velddrif to Saldanha to meet with Carel, Daphne and Dane. (Son no 4 ). 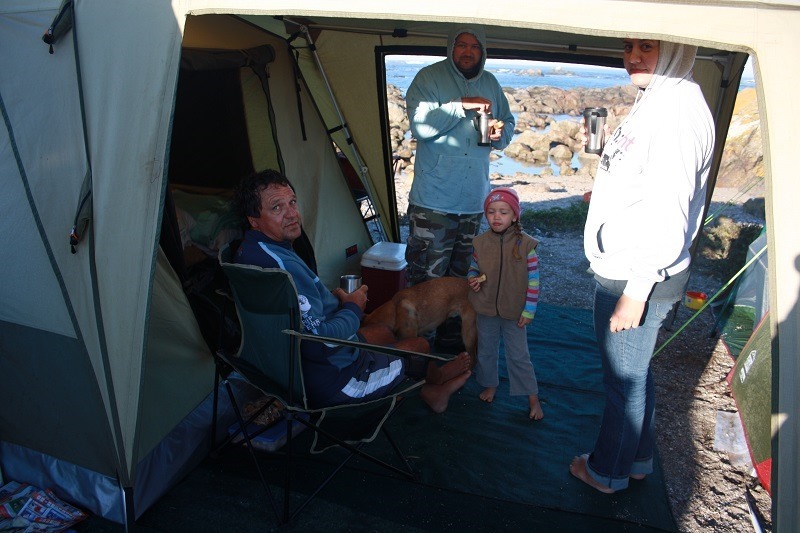 We had a glorious evening with them and then took Dane the next morning with us to camp at Trekoskraal. 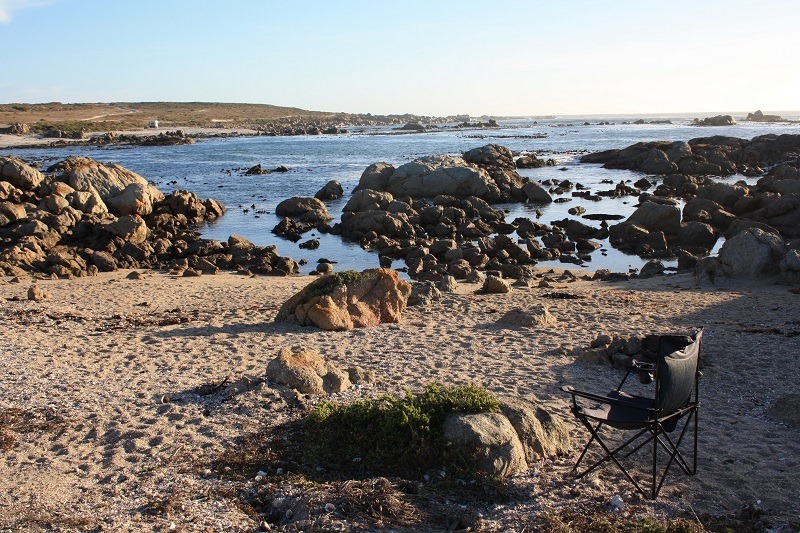 Trekoskraal is a real secret sort of destination on the West coast;- This beautiful beachfront area is totally desolated and only the people that knows about the area, go there camping. 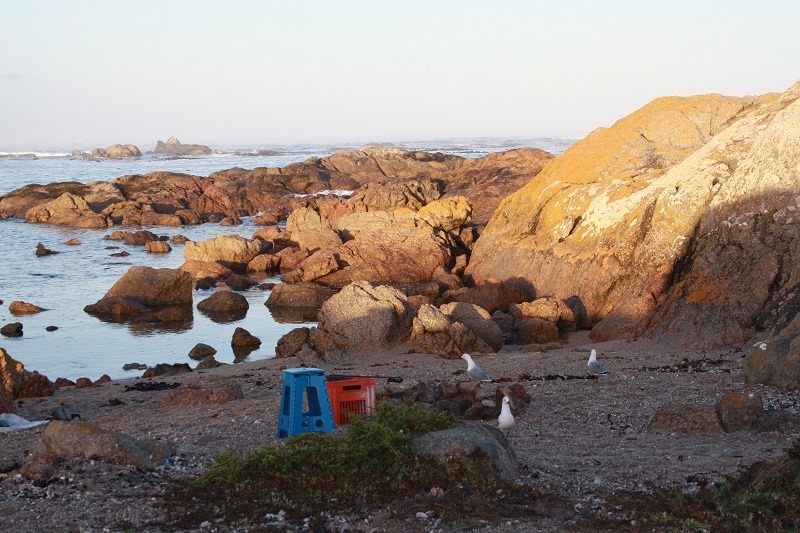 There is absolutely no facilities, no drinking water, only beaches, the sea, rocks, birds and nature as it was intended to be. 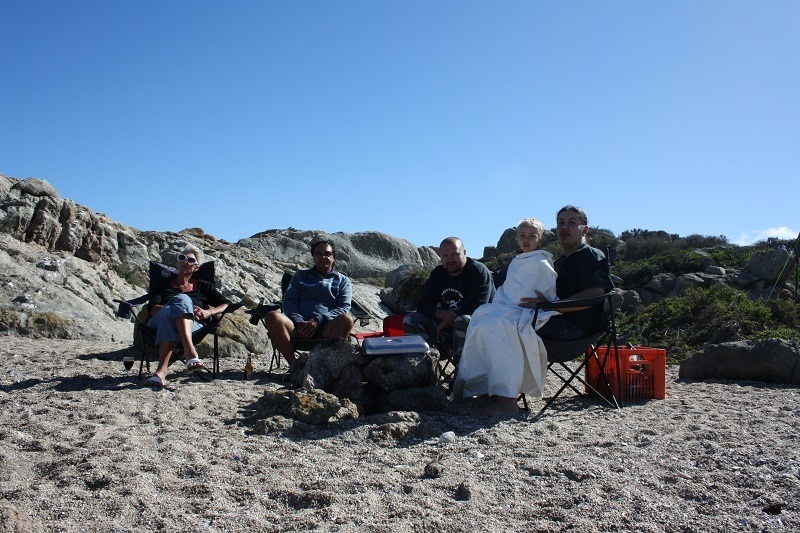 Carel and Daphne joined us after work and we had a fantastic beach braai under the stars. We had quite a discussion about the Southern Cross and saw a few “ry sterretjies” (travelling stars for satellites) as Heleen our youngest daughter always called satellites. 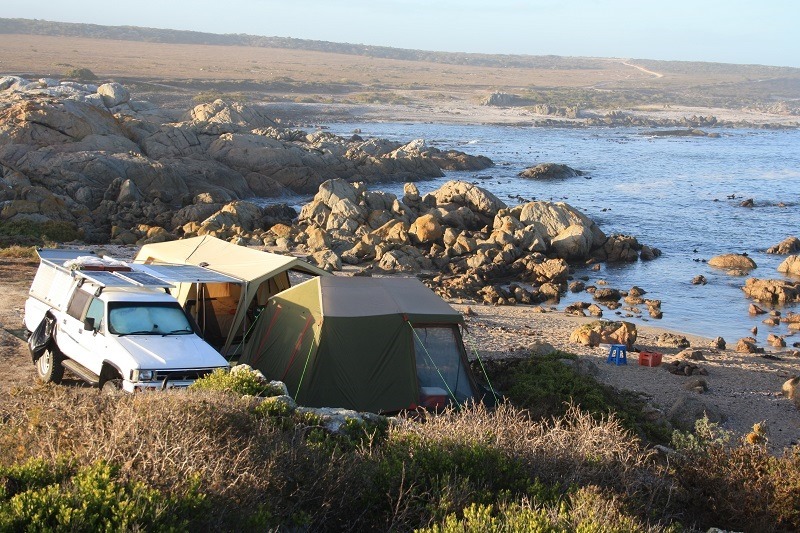 We decided to stay another 2 nights at Trekos before we depart to Caledon via Cape Town to Lucas, Petro and little Luke. 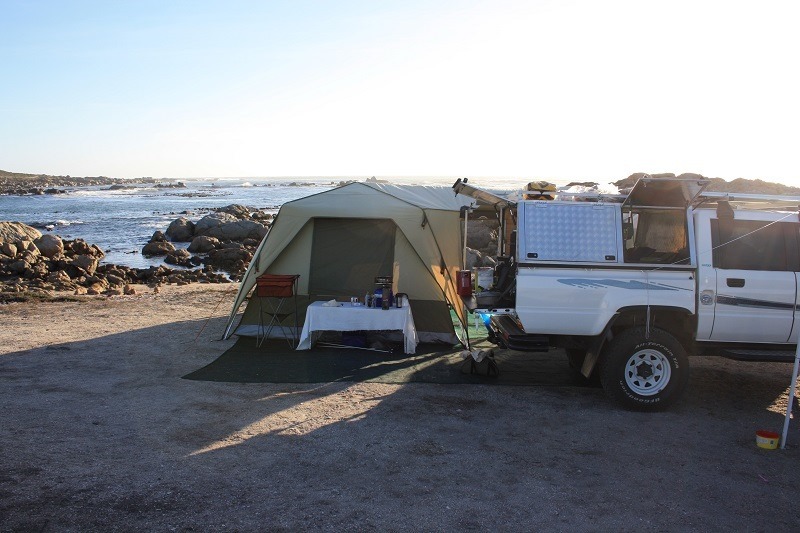 The camp at Trekos is a real challenge for our equipment because we are totally dependent on the Solar Panels for electricity for both Freezers. Up to now, everything works perfectly!!! The washing facilities (?) are also being tested for what it’s worth but yes, we have to get used to whatever we have !! Typically West Coast, the wind started blowing nonstop!! This was also a real test for our outfit. 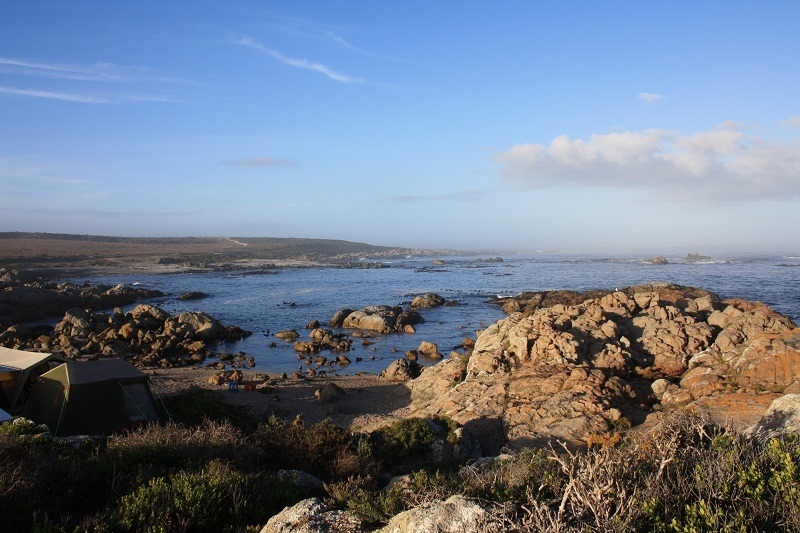 After a lovely stay with the children, we moved on to Vloedbos near Caledon to meet up with the next set of children. This entry was posted in Uncategorized on March 24, 2013 by arnizego2africa.